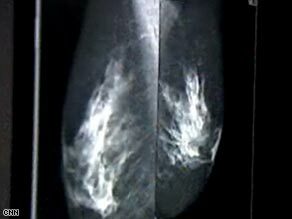 Women with breast cancer in the United States have an average age of 63 when they are diagnosed, and the disease is more common in older women than younger. Despite conventional thought that older woman cannot tolerate chemotherapy, it helped them live longer. However, researchers have long left older women out of clinical trials due largely to concerns that they can't tolerate toxic therapies. In practice, these older patients may not even be offered potentially lifesaving chemotherapy. Now a new study in women 65 and older published this week in The New England Journal of Medicine shows that women with early-stage breast cancer who are treated with chemotherapy along with surgery will likely live longer than those who aren't. Although the toxic effects of chemo in the study were no picnic, most of the women participants ultimately "did fine," said Dr. Hyman B. Muss of the University of North Carolina at Chapel Hill's Lineberger Comprehensive Cancer, who led the study. Only about 62 percent of patients were able to complete treatment with cyclophosphamide, methotrexate, and fluorouracil, compared with 80 percent of those taking capecitabine. However, two capecitabine-taking patients died due to treatment side effects, compared with none of the women taking the traditional chemotherapy drugs. "The conclusions of the study confirm that adjuvant chemotherapy for breast cancer in women 65 and over should be carefully considered by patients and their doctors," Dr. Len Lichtenfeld, deputy chief medical officer at the American Cancer Society, said in an email. Lichtenfeld was not involved in the study. "The study also shows that, as of now, there is no simpler, less toxic therapy that could be offered to these women that would still be effective." Doctors and nurses need to drop this "patronizing" attitude and stop letting age alone disqualify breast-cancer patients from getting treatment that could extend their lives, Muss said. "We're going to see more and more cancer in older patients and we need to continue to do research in this area to learn the best ways to take care of them," he said. The study was funded by the National Cancer Institute, the National Institute on Aging, the Breast Cancer Research Foundation, the Coalition of Cancer Cooperative Groups, and Roche Biomedical Laboratories. Muss and other study authors have received consulting fees from Hoffman-La Roche.